We made the Top 20 Acupuncturist List for Salt Lake City! 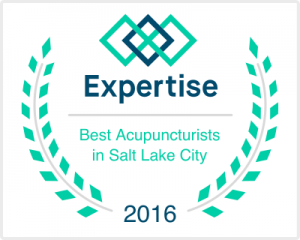 We made the Top 20 Acupuncturist List for Salt Lake City for 2016! Out of the many acupuncturists in the Salt Lake City metro area we were selected as one of the Top 20. Expertise.com analyzed and scored acupuncturists on more than 25 variables across six categories to come up with the top 20 scores. Check it out by clicking HERE! 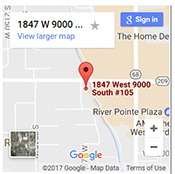 Category: Acupuncture, Chiropractor, Natural and Holistic Health Care, Therapies | Comments Off on We made the Top 20 Acupuncturist List for Salt Lake City! There is no part of your body that escapes the dominance of your nervous system. Improper function of the spine due to slight misalignments can cause poor health and function, even in areas far away from the spine and spinal cord itself. These misalignments are called subluxations, and can reduce the ability of your body to adapt to its ever-changing environment. Even the slightest malfunction of your spine has the potential to alter the regular transmission of nerve impulses. This may result in preventing the affected portions of your body from responding and acting in a healthy way. Chiropractic is a natural form of health care that uses spinal adjustments to correct misalignments (subluxations) and restore proper function to the nervous system. This helps your body to heal naturally, on its own. Chiropractic doesn’t use drugs or surgery. Instead, a chiropractic spinal adjustment is used, the application of a precise force to a specific part of the spine. This corrects the misalignment, allowing normal nerve transmission and helping your body to heal on its own. Chiropractic is used for both acute and chronic health conditions. Chiropractic is best known for reducing/eliminating back and neck pain, but chiropractors can do so much more! The chiropractic approach to health is to look at the whole person, not just the body part affected by pain or disease. By reducing and eliminating spinal misalignments with a chiropractic adjustment, the body can begin to heal itself. Many times the patient will experience improvement in several areas of their health in addition to improvement of their primary complaint. When the body is free to function properly, the improved nerve and blood flow can help more than just one area of pain or dysfunction! The Institute of Chiropractic and Acupuncture Therapy provides chiropractic and wellness care to patients in the Salt Lake Metro and surrounding areas. Come see how chiropractic can help you and your family…experience the difference at the Institute! Category: Chiropractor, Health Conditions, Natural and Holistic Health Care, Therapies | Comments Off on What is Chiropractic? New Year’s Resolution: Eat Better!!! New Year’s Resolution: Eat Better…you really can! This is the time of year that almost everyone starts eating a little better. Sadly however, it usually doesn’t last very long. What can you do to make it permanent? Find healthy food that you like (it IS possible) and slowly replace the junk…make it a lifestyle change, a little at a time. That is the only way to have changes that last for your health, your weight, and how you feel every day. Many of our society’s chronic health problems are a result of nutritional deficiencies. Eating far too much junk food and not nearly enough nutrient rich foods. If organs in the body are not getting the nutrients they need, over time they begin to break down and wear out, ultimately leading to disease. The best source of nutrition is from healthy food. However, the typical diet of most Americans is not healthy! For this reason, nutritional supplementation can also be very beneficial, and for some people it is a must. However, the quality of a nutritional supplement is extremely important. Some supplements are made from whole foods and some are synthetically made chemicals. Synthetic vitamins only contain one small chemically made portion of the vitamin complex, whereas whole food supplements contain the whole vitamin complex (the vitamin plus what the body needs to actually use it). Whole food nutritional supplements are far superior to synthetic vitamins. 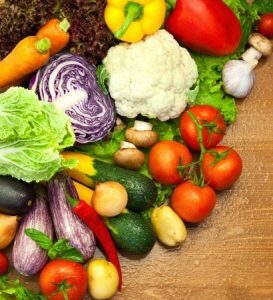 Proper nutrition, in addition to regular adjustments by your chiropractor can help prevent disease, balance the body so it can heal itself and overcome physical and emotional stress and illnesses, and most importantly…you will feel better! At The Institute, in addition to chiropractic and wellness therapies, Dr. Burrup educates and counsels our patients on how to make healthy lifestyle and diet choices, leading to more energy, fewer health problems, weight loss (or gain when needed), and overall better health. Good Nutrition and Chiropractic Care really do make a Healthy Lifestyle! Dr. Trent Burrup is a chiropractor who provides nutritional counseling and supplements in Salt Lake City and surrounding areas including West Jordan, South Jordan, Sandy, Draper, Taylorsville, Murray, Riverton, Herriman, Bluffdale, Cottonwood Heights, Holiday, Millcreek, West Valley City, and South Salt Lake. We also provide service to patients that come from the Utah County area and as far north as Logan, and even some from out of state…come experience the difference at The Institute! Category: Chiropractor, Health Conditions, Natural and Holistic Health Care | Comments Off on New Year’s Resolution: Eat Better!!! Chiropractic & Better Health…Start Your New Year Right! Now is the time that many people set goals and resolutions for the New Year. Give yourself the gift of health by eating better, exercising, getting enough sleep, lowering stress, and seeing your chiropractor. Chiropractic can help prevent pain and dis-ease through spinal alignment, which allows all the nerves in the body to function properly. This allows the immune system to fight off disease easier, and helps nerves to have enough nutrition and blood flow, which leads to every system and organ in the body being able to function better. This results in less pain, better immunity, and overall better health. For more information on chiropractic and how it can help you, please see our chiropractic page on our website HERE. Category: Chiropractor, Health Conditions, Natural and Holistic Health Care, Therapies | Comments Off on Chiropractic & Better Health…Start Your New Year Right! Part 2 of “Why Do My Joints Make Popping Sounds?” Have you ever wondered why your joints crack and pop? (popping your knuckles, other joints or during a chiropractic adjustment, etc.) Dr. Trent Burrup explains more about what that is and if it is good or bad for you. Please enjoy our video by clicking below!